The official Twitter handle of Bayern Munich threw an indirect jibe at Arsenal upon conclusion of the Champions League round of 16 draw. The Gunners were once again tied to play the Bundesliga giants after recently pairing them on three different occasions. Second place finishes made Arsenal get tough opponents in the past but a top finish this time did not make any difference as they now have Bayern who could only manage a second place finish this time. 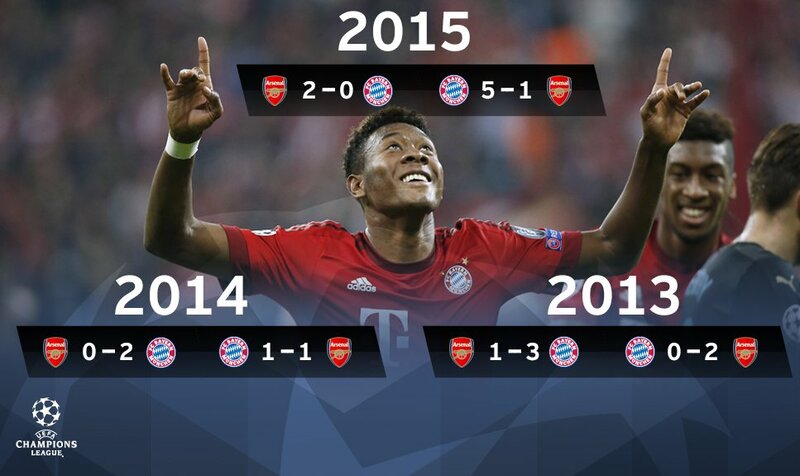 Arsenal's last game in the group stages took the to first position and on that day, Bayern made an update which showed they were expecting to play Arsenal again. That dream finally came to pass for them today and since they've always cruised past Arsenal, they felt it was an easy draw for them and as such made a tweet to express their joy. It was an indirect expression though. The away and home fixtures will be played on February 15, 2017 and March 7, 2017 respectively.